These 64 colors were created over years of trial and error through working with clients trying to find that perfect color. I have perfected these color formulas to create colors that are pleasing, coordinating, and reliable. The color formula allows you to order your paint with complete confidence that you’re getting the true color you want. Take the Quiz to find out which colors are perfect for you. It’s about accuracy, convenience and control. One of the most common problems my clients have run into, and often the reason they call me, is that they are unhappy with the colors in their home and are unsure of how to choose the right colors. Trying to color match a swatch of color that you’ve found–or one from your home–always turns out to be more difficult than it seems like it should be. It is a misnomer widely believed by the general public that you can easily bring in a sample of your existing color–or a color you want to match–and have a big box store scan it in and magically produce an exact match. It just isn’t this simple. The color matching computer, called a spectrophotometer, has a 10% margin of error(!). This is a large spectrum for anyone who is trying to do touch ups or create their dream color. A quick trip to the comments section of any big box store’s website will reveal just how frustrating this process can be. We asked an expert about this, check out what he had to say. We are presenting a solution so that once you use our paint, you never have to worry about color matching for touch-ups again. What is the value of having the formula? The color formula, a series of numbers and letters, is interpreted by a paint mixing machine as quantities of pigment. Rather than guessing at pigment quantities like a spectrophotometer does, our formula provides the exact measurements of primary colors that are mixed into a base paint to make your color. This means that as long as you are using the same manufacturer (Benjamin Moore Aura) and the same base, your colors will always come out exactly the same. Even years down the road when you decide your walls need a refresh, you can pull up this formula and order more paint. How do I use the formula? 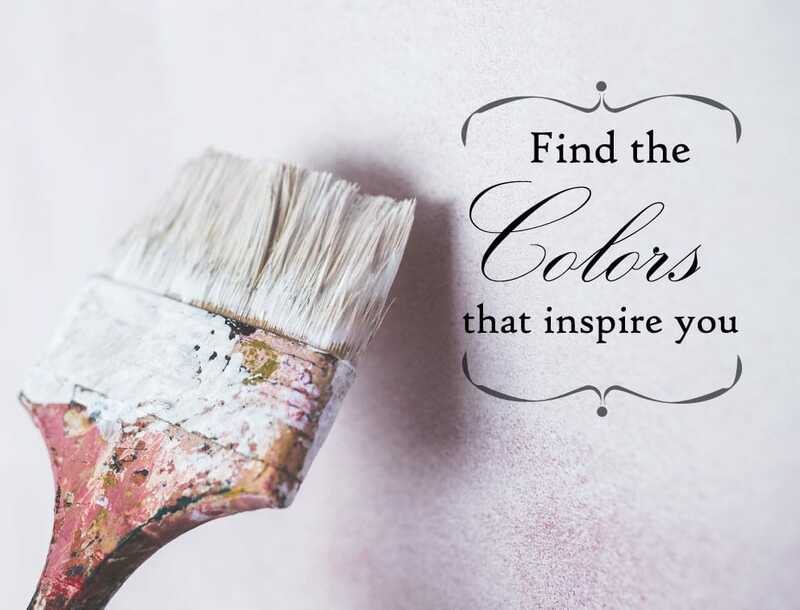 Bring your color formula to any one of the hundreds of Benjamin Moore Aura dealers in the US. You can print out your formula, or simply show them the download on your phone. You have the option of ordering a drawdown, a small sample pot, or a full gallon (or several gallons). I recommend getting a drawdown first–this is a sheet of paper with your color painted on it. This way you can take your sample home and look at it in different light around your house. This is the least invasive, and most effective, way of determining if this color is right for you. Where do I get the paint? Benjamin Moore: Our colors are only available in Aura. Benjamin Moore’s Aura is a beautiful, premium paint. The coverage is fantastic; this paint is the perfect boutique choice. *Please note that most dealers will by default use the least expensive product line when making a sample or drawdown. Since our colors are only available in Benjamin Moore’s Aura, I would recommend asking for your sample or drawdown to be made in Aura as well. What I like about a drawdown is that it’s put on a clean, white sheet of paper. When you purchase a sample pot of paint, you’re most likely to paint it on top of your wall that has an existing color already. This contrast between the new color and the previous color will affect how your new color is seen. When you have an 8 x 10 piece of paper, you can move it around the room, test it in different light, test it next to the items in your room, and it wont be effected by your existing color.